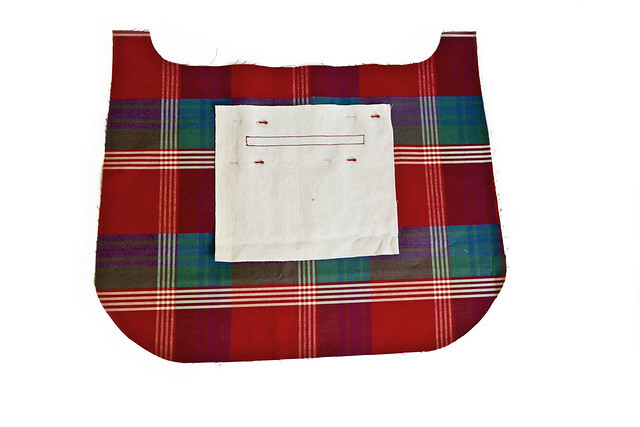 I have decided to make a bag out of the metre of tartan style fabric that I had bought from Ikea a week or to ago. I’ve settled on another Retro Bag from the 101 Fabric-By-Fabric Ways To Sew A Metre book as the shape and style are so flexible, and now that I’ve drawn up a slightly larger pattern template I have found that I use the Tape Measure Bag almost daily, and it would be nice to have another version to go with a few more outfits. 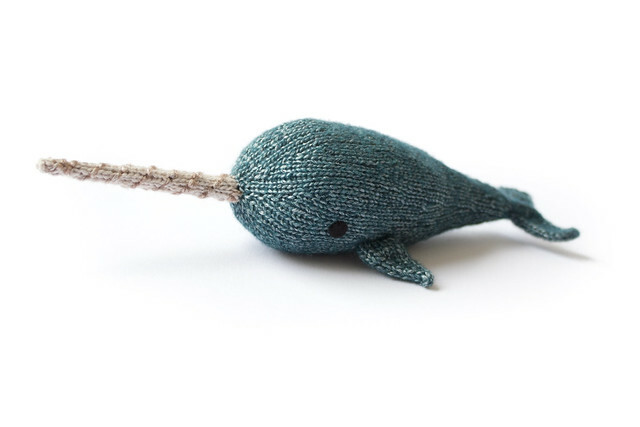 When deciding on this project I thought that I would make a few little changes that, though mostly invisible on the outside, would give me a change to try a few new techniques and hopefully provide a little extra functionality. The first of these was to provide a zippered inner pocket, and I decided to use a technique that I have seen in a few places on the internet and various books to create an inset zipped pocket, and a step-by-step walkthrough is below. 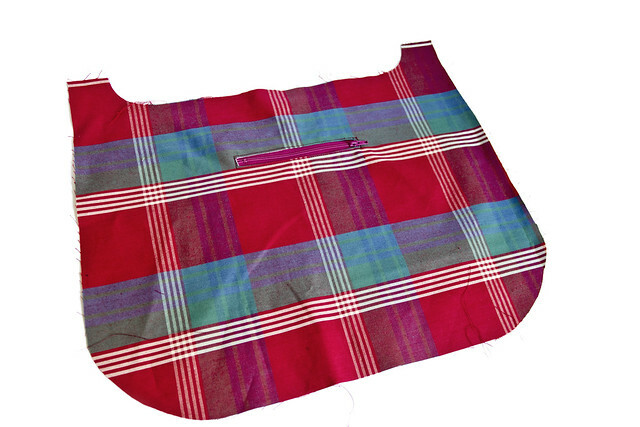 Though I am placing this pocket in the bag lining, I shall refer to the tartan style lining fabric as the ‘main fabric’ as this technique could just as easily be used to create a pocket on the exterior fabric. 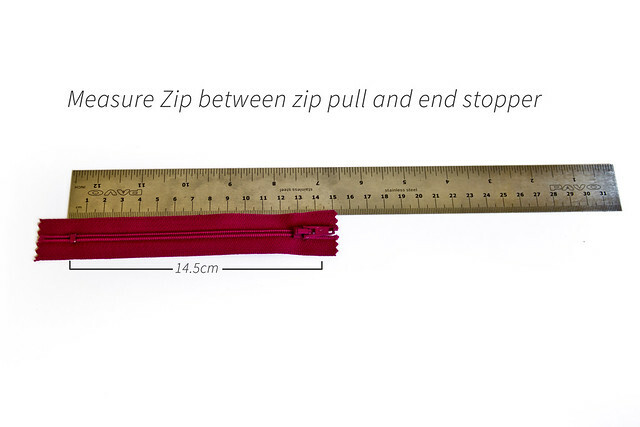 The first thing to do is to measure your zip. You want to measure from where the zip pull ends in the ‘closed’ position to the end stopper, or until where you have sewn across your zip to shorten it. My zip was the correct length so I used the original metal stopper, which gave me a zip length of 14.5cm in total. Next, cut your fabric for the pocket lining. 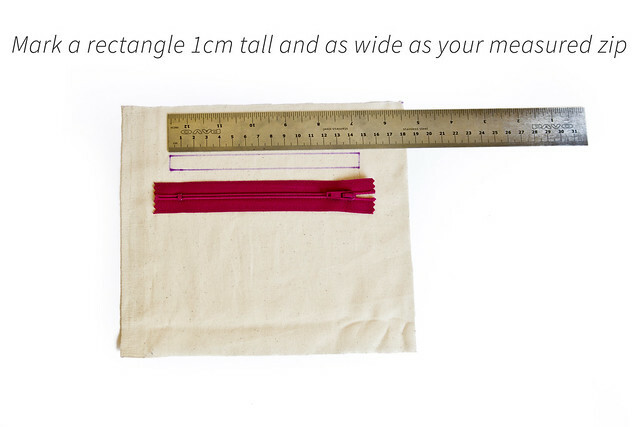 You’ll want the fabric to be at least as wide as your zip plus 3cm either side, and as deep as you’d like the pocket from the zip opening, plus and extra 7cm. Cut two matching pieces this size. Using a fading ink pen or other removable marking such as tailor’s chalk, mark a rectangle on the wrong side of one of your pocket lining fabric pieces. Mark the rectangle 4cm from the top edge and equal distance from either side. The rectangle should be the same width as the measurement you took in step one, by 1cm high, so in this example the rectangle is 14.5x1cm. Lay your main fabric right side up and place your lining fabric with your marked zipper opening into position, taking into account where you wish your zipper opening to be, and pin the lining fabric in place. 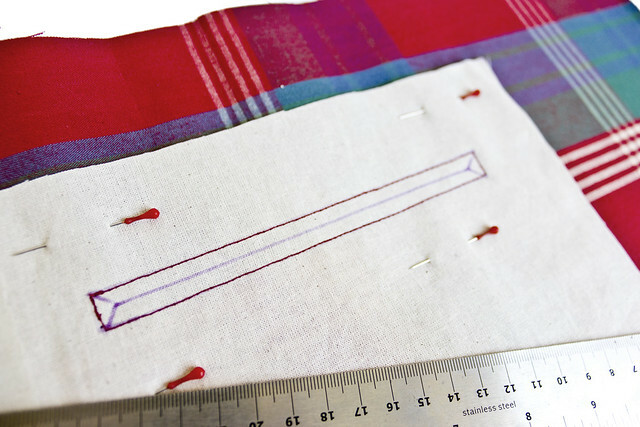 Sew around all four edges of this rectangle using a short to medium straight stitch. Mark cutting lines within your rectangle in an envelope shape as above. The long cutting line should be equidistant from either of the long edges. 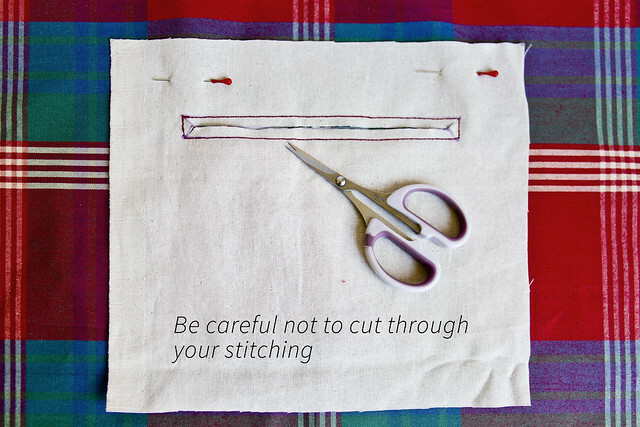 Cut carefully along the lines, taking care to cut up to but not through the stitching at the corner points. 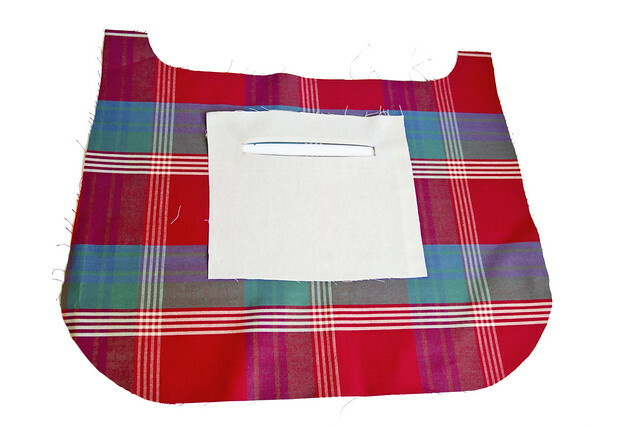 With your main fabric still facing up, push all of the pocket lining fabric through the hole that you have just cut and out through the other side. 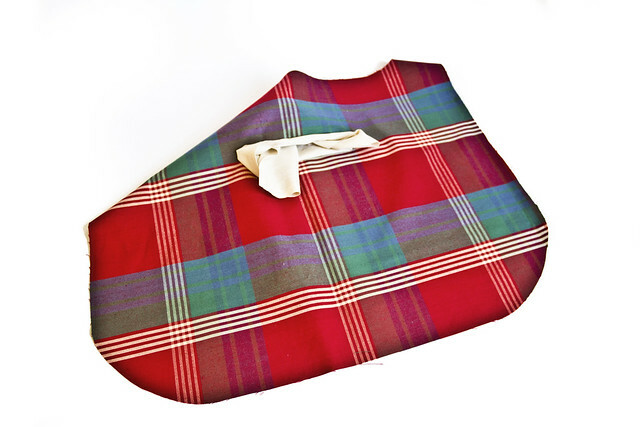 Turn your pieces over and iron everything nice and flat. You may need to pull the fabric around the corners of the zipper hole as you iron to get it to lay flat and neat, but eventually a neat shape should emerge. Place piece right side up over zip, aligning it to the centre of the opening, and pin in place. Sew around all four sides of zip opening, keeping your stitches close to the edge. Turn piece over and pin second pocket lining piece in place over the first. 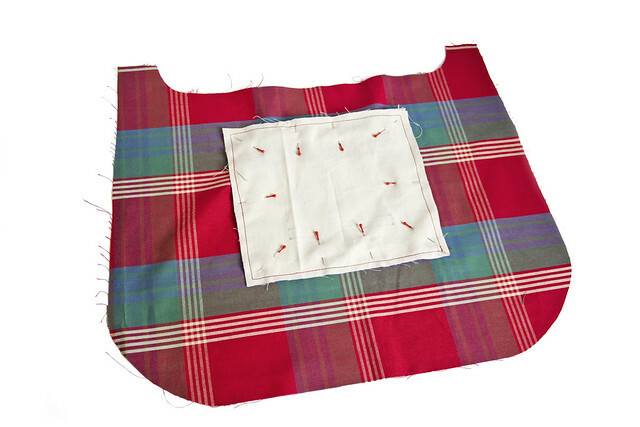 Sew around all four edges of the pocket lining fabric, being careful to move main fabric out of the way as you sew, to ensure that you do not stitch through too many layers. Your zippered pocket is now complete. I’ll have more details on how the bag is coming together later in the week!